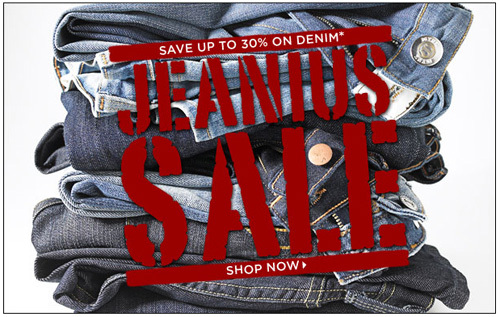 Saks Fifth Avenue sent out a postcard-style email on Monday, with the clever “Jeanius Sale” headline. Although the pun may be lost on anyone without 20/20 vision. 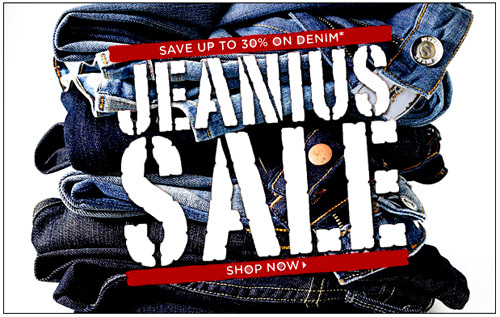 Slapping stencil font in low-contrast red on this pile of blue jeans would be an awful home page design decision, and it’s no different with email. Not a huge improvement, but the colors don’t “bounce” as much.